This isn’t just your ordinary belt and buckle. 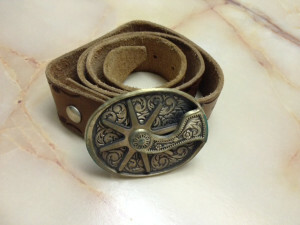 The buckle is a cowboy’s spur and it spins! As the spanker raises his arm and brings it down again, the spankee will hear the jingle as the spur turns, sending tingling shivers down your spine! Enjoy! !